What do successful Etsy sellers do to drive traffic to their shop *every* day? Etsy or Shopify? Why I ditched shopify in favor of having all my sales on Etsy - and why having my business on Etsy doesn’t make me nervous. It’s 2018, is Etsy still a good place to start selling online? 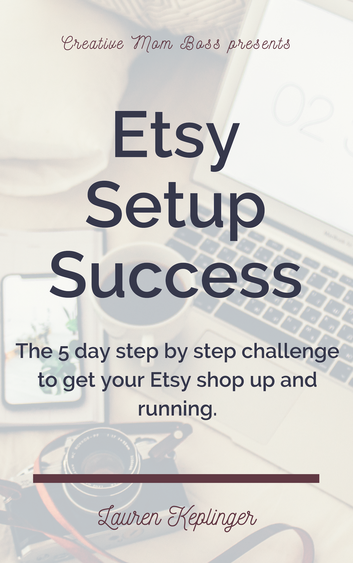 Learn here about using Etsy to sell online. If you've ever read anything about online marketing, listened to any business podcast, or basically not been living under a rock, you've probably heard that you should be building an email list. That's because email marketing is where it's at. Think about it. On social media, you're just one of many accounts people are scrolling through. On Pinterest you're lucky if people notice your graphics. On Etsy, there are a million shops selling competing items. With email marketing, you're talking one on one directly to your customers. Bonus: they've opted in, so you know they WANT to hear what you have to say! Etsy doesn't make it super easy to build an email list from your sales on their platform. You're not allowed to add people directly after selling, and my understanding is that with the new GDPR compliance rules sellers won't even have access to people's email addresses when they purchase. So, how do you get them to sign up? Here's the secret key that isn't widely known: ADD A GRAPHIC inviting them to sign up. Here is a snapshot of my email list growth over the past year. I've had an email list for forever, but struggled to add any new subscribers. Seriously, a good month was +1 subscribers. In January 2018, I implemented this new strategy, and between January and April I added 173 people! This accounted for a 68% increase! For simplicity sake, I use a bit.ly URL to shorten the link. I also include the link the product description, since the graphic is not copy and paste-able. By directing the customers to the description, they scroll down (and maybe even read the description details! ), copy and paste, sign up for their coupon, wham bam. This has been such a game changer for me. I average about 1.5 people per day subscribing to the mailing list, so over the course of a year this will be a growth of over 500 people. Not to shabby if I do say so myself! I hope this has been helpful to you! As always, email me if you have specific questions I didn't answer in this post. I always love to hear from y'all! Etsy Shipping Tips and Tricks - Using Etsy shipping labels to expedite your shipping processes and save time on your packaging.